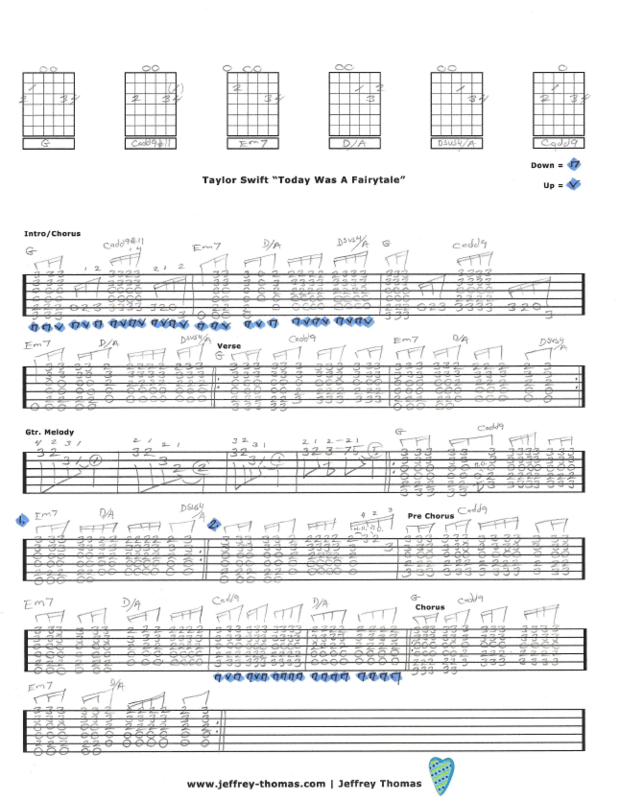 Learn to play Taylor Swift’s Today Was A Fairytale with my free guitar tab. In this lesson you will learn the proper chords, picking details and signature licks just like the recording. This is not a simplified version so it will really help improve your counting and introduce you to more advanced rhythm playing with fills. I have the song structure notated so you can play it how the recording is. Want the guitar tab for free? Just send in your email address using the form provided. Looking for online Talyor Swift guitar lessons? Fill out the Schedule A Free Lesson form to set up your free Skype guitar lesson today! This song peaked at number 2 on Billboard Hot 100 and was in the soundtrack for the Valentine’s Day movie 2010. Check out my online guitar tab, video and blog pages for more awesome guitar material.